What a wonderful First Anniversary event we had at the end of January at NNLS. 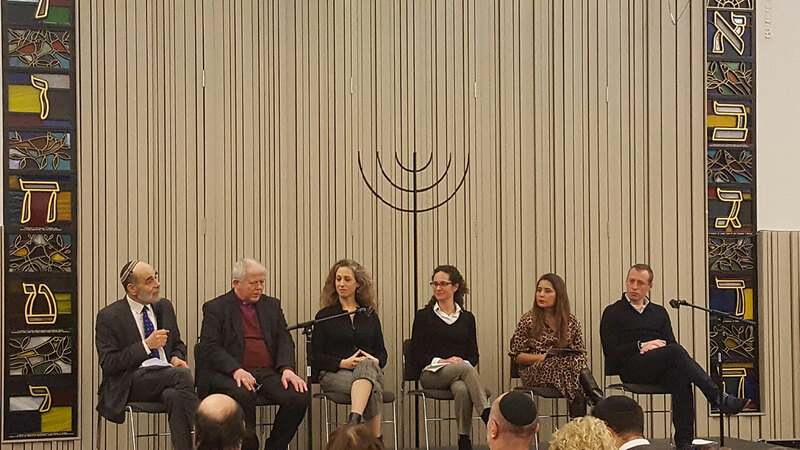 Despite the wintry night lots of you came to show your support for Eco Synagogue and celebrate your successes. We started with a fantastic array of speakers introduced by Rabbi Jonathan Wittenberg: Church of England Lead Bishop on the Environment Nicolas Holtam, Drs Nichal Machmany and Joana Setzer from the Grantham Institute on Climate Change, Malini Mehra who sits on the London Sustainable Development Commission and Robin Clark of Just Eat. Each of them highlighted a very different perspective on the issue of climate change, including faith, law, government, business and resources. After the speeches, the audience and panelists separated into break-out sessions on the following themes, with the addition of other experts to help lead the discussions. Afterwards, awards were presented by Andy Atkins, CEO of A Rocha, who said: “Faith groups can really make a difference on the environmental agenda.” The synagogues who received Recognition Awards were Alyth, Finchley Progressive, Finchley Reform, Kol Nefesh and Muswell Hill, while Belsize Square and NNLS were given Bronze Awards. Finally, Edwin Shuker, Vice President of the Board of Deputies, closed the event with fulsome praise for Eco Synagogue’s aims and very welcome pledges of support. We look forward to welcoming you next year, and to giving out lots more Recognition and Bronze Awards plus, we trust, Silver Awards! Which Synagogue will achieve this first?